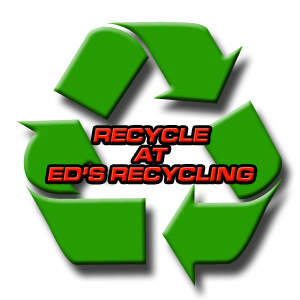 Ed's Recycling opened in 1996 with a team of three. It did not take long to realize that more hands and more equipment was a must. As the business grew over the next few years, Ed & Mike saw potential to expand their services. In 2000, Ed's Recycling purchased their first PORTABLE CUSTOM BALER. As a result, the company was able to offer a solution to those customers, with large stockpiles of scrap, who could not find a cost effective way to bring the material to the yard. Ed's Recycling worked with Federal, State and County agencies, landfills, private businesses, and local customers to provide a much needed and extremely specialized recycling service. The demand was so great they bought a new baler in 2005 followed by 3 more in '06, '07, and '08. 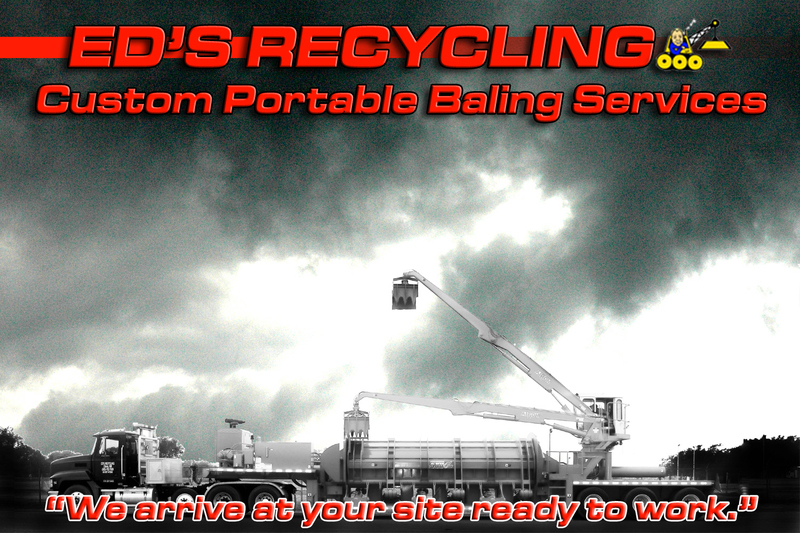 Ed's Recycling currently has 3 baling machines in service that have baled material from California to Louisiana. So if you have a molehill or a mountain range size pile of scrap, contact us to find out what we can do for you. "Custom Portable Baler and operator arrive at your site, ready to work!"